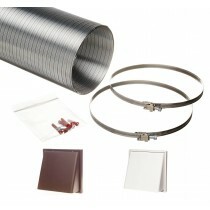 Semi rigid aluminium hose ducting kits are available in 1.5 metre and 3 metre lengths. 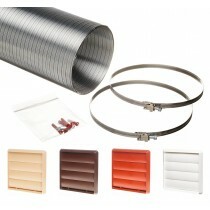 The aluminium hose is supplied compressed and will pull out. 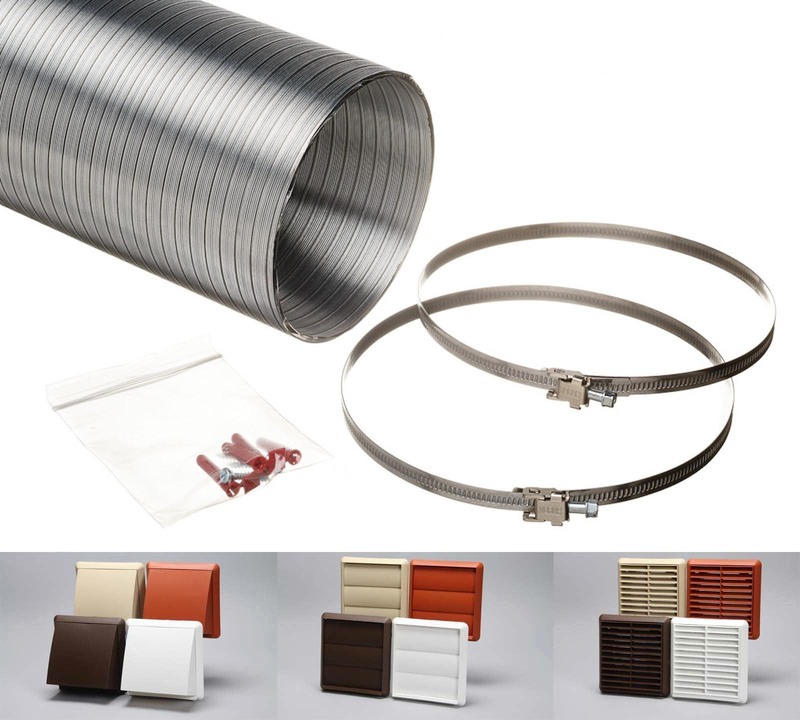 A selection of ducting outlet grilles are available, cowled with a damper, gravity flaps or louvred with flyscreen. We specialise in offering a choice of coloured grilles in brown, beige, terracotta and white for most outlet types.